Even if you own the best camera available on the market, filming a stable aerial shot has always been a huge challenge. Filming from a helicopter or plane can be extremely expensive, and acquiring the equipment needed to stabilize the camera during a flight won’t be cheap either. But thanks to quadcopters, recording stable aerial shots is safer, easier and cheaper than it’s ever been before. Today we’ll be looking at ten of the best quadcopters with cameras currently available on the market. 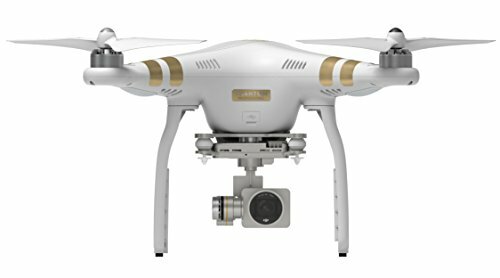 The Phantom 3 Professional is the latest quadcopter in DJI’s Phantom series of video camera drones. It boasts the ability to record 4k Ultra High Definition videos smoothly with its fully stabilized 3-axis gimbal. It’s new Vision Positioning System allows the drone to fly indoors with unparalleled stability. It also includes advanced digital streaming capabilities, allowing you to view the video feed live in 720p while the drone is still recording video at higher resolutions. The Phantom 3 Series also incorporates an app for live viewing as well as complete control of the drone’s camera. Making it easier than ever to use the quadcopter for video capture. The drone also has advanced control systems to allow the user to exercise precision control over the drone with relative ease. The Typhoon Q500 4k is a high-quality drone created by Yuneec as the latest entry in their Typhoon series of state of the art quadcopters. It boasts an integrated camera with impressive 4k video resolution and 12-megapixel photograph resolution. The camera also includes the ability to record 120 fps slow motion video at 1080p. The controller has a built-in touchscreen with live-feed capabilities and precise control options. 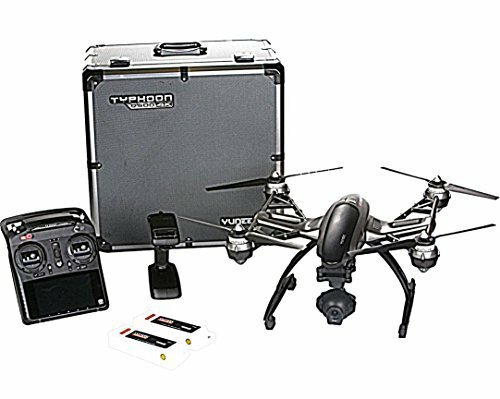 The Typhoon Q500 4k also comes standard with new ‘Geo Fence’ functionality, which automatically keeps the drone within legal flying height, as well as preventing flight near commercial airports. The drone also comes with numerous other high-tech features. 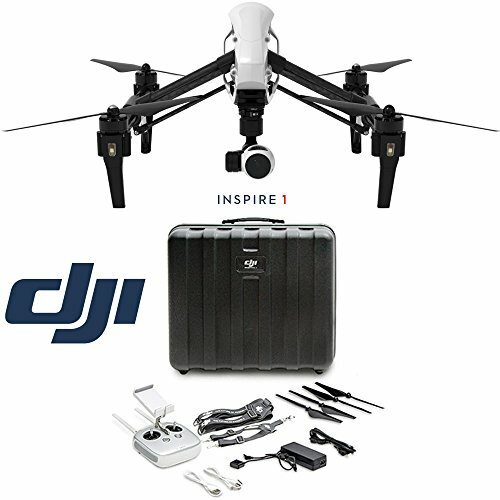 The DJI T600 Inspire 1 is one of the best camera drones on the market. The drone has an advanced feature which allows for two remote controllers to be used simultaneously, with one being used to control the drone’s flight, and the other to control the quadcopter’s camera. The camera is able to record 4K video, and can take photos at a 12-megapixel resolution. And since one person is able to control the camera while another control’s the drone’s flight, It’s able to capture far more complex or artistic shots. The Parrot Bebop Drone is a small, lightweight and robust quadcopter built by Parrot, and is only 13 inches wide. It comes standard with a built-in fisheye camera which can capture video at 1080p with an 180-degree field of view, and can take photographs at an astounding 14-megapixel resolution. The Bebop Drone also has numerous features to aid in increasing the stability of the craft without compromising its maneuverability. And also includes Full-digital image stabilization, allowing the drone to capture stable aerial footage regardless of the drone’s movements. 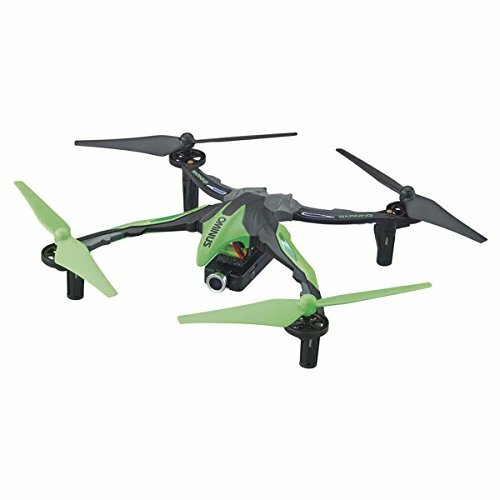 The H107D is possibly the smallest quadcopter with a built-in camera and is great for hobbyists looking for something to play around with. 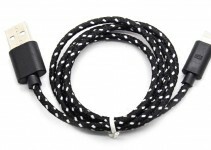 It’s also lightweight enough (and cheap enough) to perform tricks. However, the drone’s control range is only 100 meters, and it does not have a return to home feature, so you’ll need to be careful with it. There’s no better choice for someone’s first drone than the UDI U818A, it’s relatively cheap, but it’s still extremely durable, and includes many useful features. The drone’s camera captures video at 480p. Flying the UDI U818A is also much easier than flying other quadcopters within the same price range. While the UDI U818A may not have the best camera or the fanciest technology, it’s the absolute best quadcopter you can get for the price, and is one of the most popular drones available. The Vision is the second drone in DJI’s Phantom series of quadcopters. 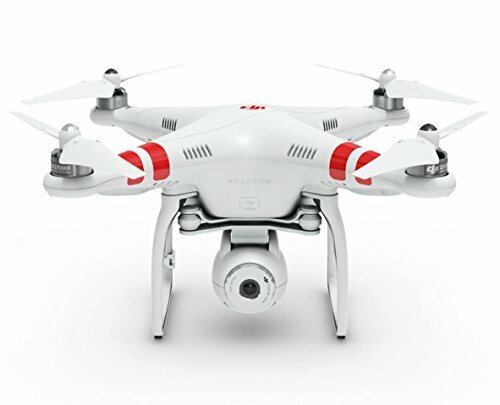 It can record at 1080p, and boasts many of the same features of the Phantom 3. Even though the Vision is relatively old compared to the Phantom 3, it’s still one of the best drones available, and can hold its own against many newer quadcopters. The Dromida Ominus FPV is another quadcopter which is great for beginners. 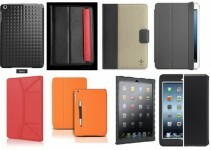 It has a sleek design and a camera that records video at 720p. However, the increased camera resolution does come at a higher price. The drone is relatively easy to control, and can record video directly to a smartphone. 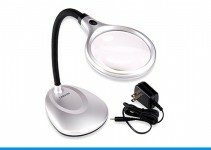 It’s also extremely aerobatic and includes LEDs for easy tracking. The Aries BlackBird X10 Quadcopter is an excellent mid-range drone designed by Adorama, it has the capability to record video at 1080p, and captures photographs at a 16-megapixel resolution. The drone is equipped with GPS precision systems and brushless motors. The drone also has automatic camera angle adjustment. 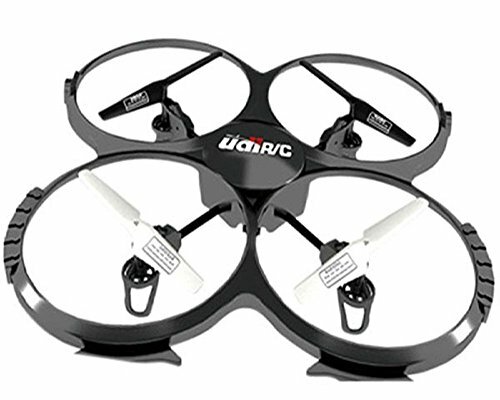 It’s great for hobbyists or enthusiasts looking to get into the more expensive drones. The Voyager 3 is an ultra advanced high-end drone designed by Walkera, it boasts an astounding video capture resolution of 4k, and includes a retractable gimbal. It’s equipped with retractable landing gear and state of the art stabilization technology. The Voyager 3 has an impressive 360-degree camera gimbal, and comes standard with Dual-Navigation GPS technology, for unparalleled navigational accuracy. The Voyager 3 also comes equipped with a multitude of state of the art features and weighs in at a whopping 35 pounds. Quadcopters bring aerial video capture and photography to a new level, with unparalleled stability, safety, and technology. They’ve become immensely popular, and can range from cheap micro drones to 35-pound professional quality drones which capture video in stunning quality.